For all their occasional hypocrisy regarding slavery in the U.S. itself, early Indiana papers almost always took the side of oppressed nations, especially if they were fighting against Great Britain. Ireland’s long struggle for independence, accomplished only in 1921, was one of the major subjects in American newspapers in the 1800s. Hoosier papers, such as the Indiana State Sentinel and the Evansville Daily Journal, enthusiastically supported the idealistic and underequipped Irish revolutionaries who launched rebellion after rebellion against Britain, including a major one in 1848. When the Famine struck Ireland in the mid-1840s, and starvation and emigration halved its population, the U.S. began to teem with emigrants and exiled revolutionaries fleeing death and persecution in the Emerald Isle. 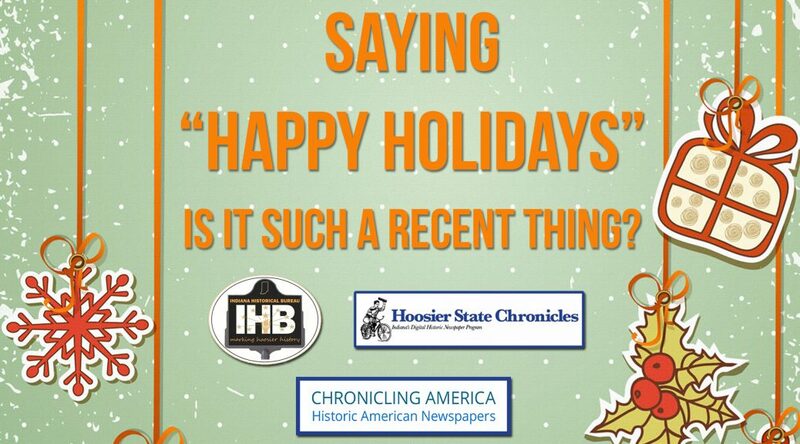 Hoosier papers were naturally drawn into the hot political debates surrounding Ireland’s fate and the great Irish exodus to America. Indiana was a top destination for the Irish in the 1830s and ’40s. One of the major engineering projects of the day, the construction of the Wabash & Erie Canal, which promised to link Evansville to Lake Erie, required an enormous amount of labor. Thousands of Irish workers dug miles of canal ditches through pestilential marshes and helped drain off ancient wetlands, drastically altering the Hoosier landscape. 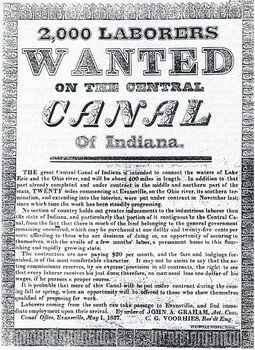 The Indiana Journal and other papers drew Irish workers here with advertisements of wages and cheap land. Often paid in whiskey, Irish laborers frequently succumbed to alcoholism, yellow fever, and malaria along the disease-ridden canal. Scottish foremen called “jiggers” often dispensed whiskey in ladles from buckets — perhaps not an altogether bad health move, since whiskey, unlike water, was distilled and not so laden with bacteria. Its long-term effects, however, were of course deadly. Irish laborers brought some Old World rivalries to America, leading to the little-known “Indiana Irish Wars” of the mid-1830s. Gangs that probably had their roots in longstanding disputes back in Ireland divided off into “Corkonians” and “Fardowns.” Fights erupted that threatened to destroy the canal. The Hoosier “Irish wars” took place mostly around Logansport and Lagro in northern Indiana. Irish workers eventually saw the result of their backbreaking work abandoned after just a couple of decades, as railroads eclipsed the canal and turned it into a worthless ditch not long after the end of the Civil War. 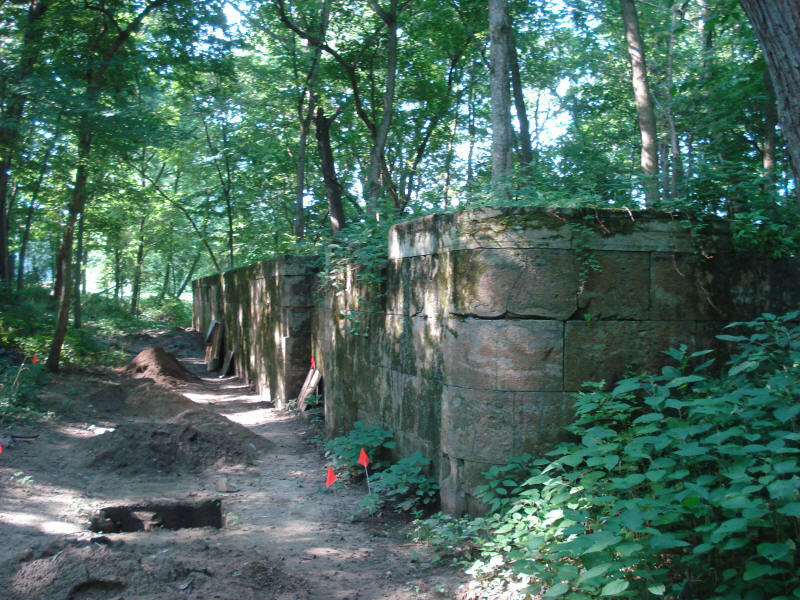 Wabash & Erie Canal ruins near Riley in Vigo County. Photo by www.americancanals.org. Antebellum midwestern papers, frequently run by European political refugees, were huge supporters of the 1848 revolutions in Europe, which tried to topple the old monarchies. “Young Ireland” was a major revolutionary movement led in part by a man who later played a critical role in the American Civil War. 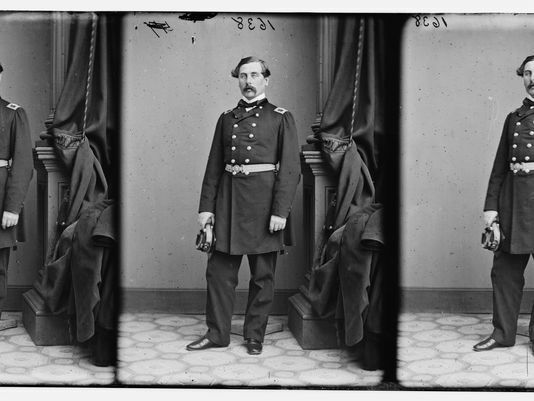 Thomas Francis Meagher, best known in the U.S. as the commander of the Union Army’s Irish Brigade (decimated at Antietam and Gettysburg), was one of the world’s most famous revolutionaries in 1848. Born in Waterford, Ireland, in 1823, Meagher came from the oppressed Catholic majority. Educated by Jesuits in England, where he learned to speak with an upperclass English accent that his supporters sometimes hated him for, Meagher almost entered the Austrian army but got involved in Irish politics during the dark days of the Famine. As one of the leaders of the failed 1848 rebellion, he was nearly sentenced to death by a judge, but received a mercy verdict and was deported for life to Van Diemen’s Land (Tasmania), at that time a British penal colony at the far end of the world. Meagher, deported from Ireland to Tasmania, escaped to America and came to Indiana in 1852 and 1858. Meagher came west in 1852, but didn’t make it to Indianapolis. He may have stopped in Evansville, since he was in Louisville on December 20 and left for St. Louis on the steamboat Pike the next day. Meagher made another trip to the Midwest in 1858. At 8 o’clock at night on February 19, he gave a speech at the Universalist Church in Terre Haute. His subject: “St. 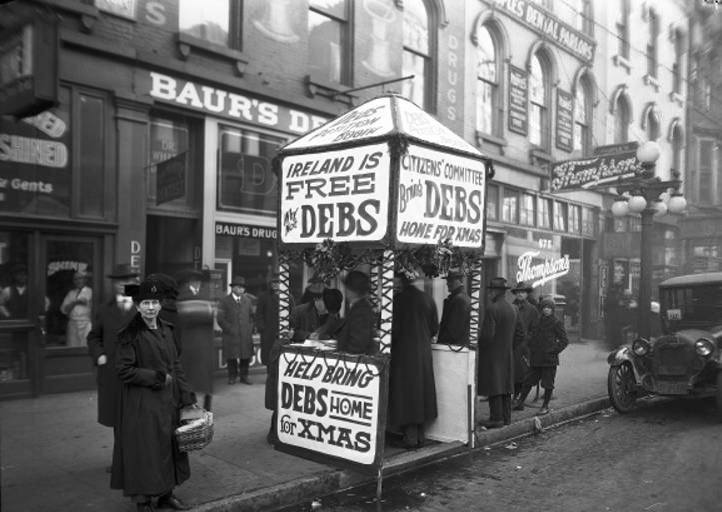 Patrick’s Day and National Anniversaries.” Admission to hear the famous Irish patriot was 25 cents. (The Universalist Church once sat at the corner of 4th & Ohio Streets near the old Vigo County Courthouse. ) 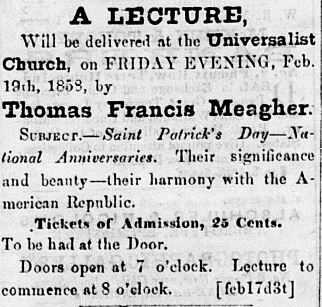 Sadly, no transcript or any further mention of Meagher’s talk was published in Terre Haute papers. Terre Haute Daily Union, February 18, 1858. Meagher became an American citizen and went on to become the editor of two anti-British newspapers in New York City: the weekly Irish News and (with fellow rebel John Mitchel, who supported the Confederacy) the Citizen. He went to Costa Rica just before the Civil War to explore the possibility of Irish immigration there. Though he had previously supported the South, in 1861 Meagher helped recruit the 69th New York Regiment, the core of the Union Army’s Irish Brigade, a fighting body made up mostly but not entirely of Irish volunteers. Under Brigadier General Meagher’s command, the Irish Brigade bore the brunt of fighting along Bloody Lane at Antietam and was almost entirely wiped out at Gettysburg. Today, a huge monument to Meagher and the Irish volunteers — most of whom were from New York but with many Hoosiers among them — stands next to the lookout tower on the Antietam Battlefield in Sharpsburg, Maryland. Meagher survived the war, went west as Territorial Governor of Montana, and drowned in the Missouri River near Fort Benton in 1867 when he fell off a steamboat. 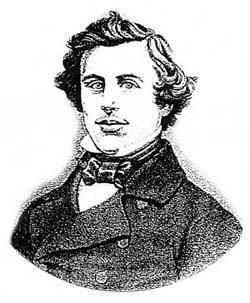 Rebel Thomas F. Meagher was leader of the Union Army’s Irish Brigade. 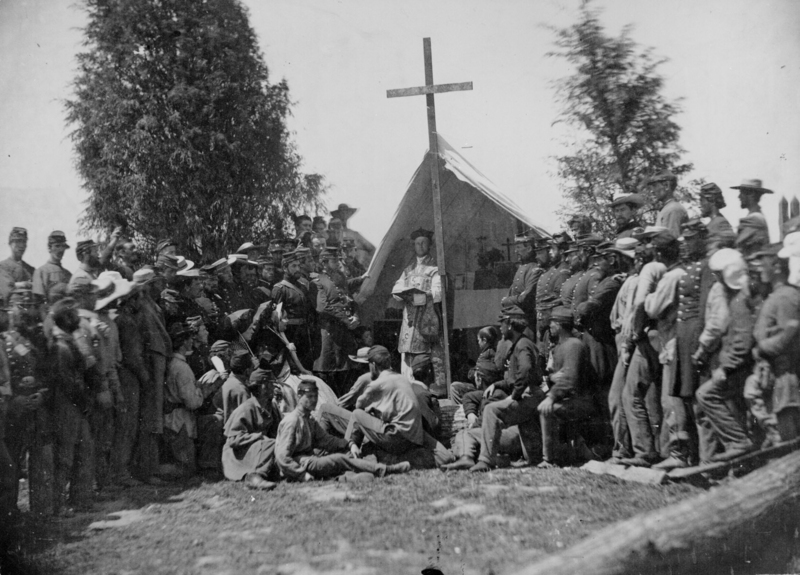 A Catholic priest leads a prayer with the 69th New York at Fort Corcoran in northern Virginia in 1861. 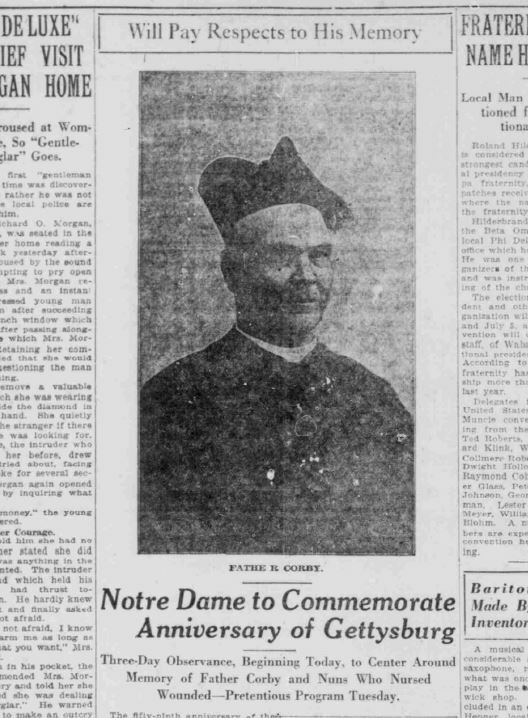 One of the notable “Hoosier Irish” who served with distinction in the Civil War was Father William Corby (1833-1897), a Holy Cross priest from Notre Dame and an army chaplain attached to the Irish Brigade. Before the mostly Catholic Irish brigade went into battle on the second day of Gettysburg, Corby famously gave the unit absolution from their sins. 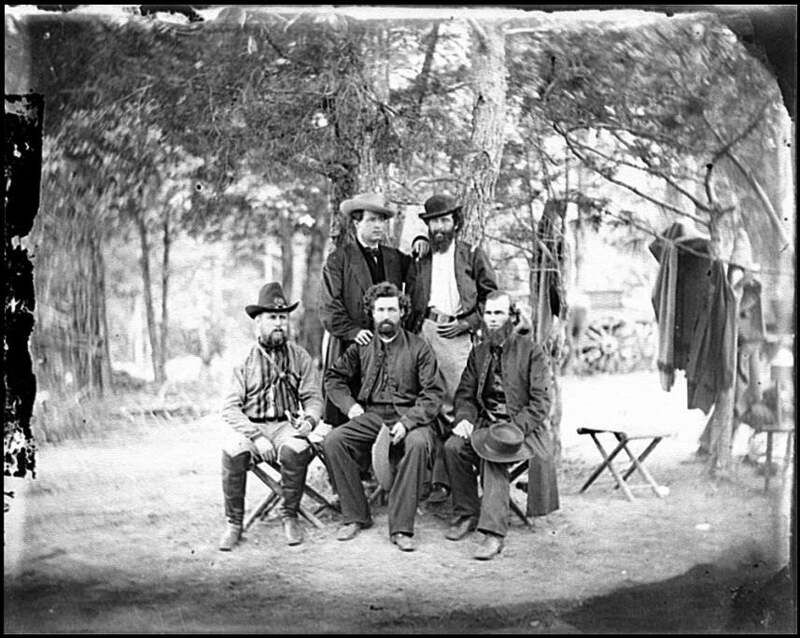 Pictured here in 1862 with two other priests who served in the Union Army, Corby went on to become the president of the University of Notre Dame and wrote a bestselling memoir of his experiences in the war. Father William Corby of Notre Dame, seated at right, with two other priests [seated center and standing left], in 1862. A tribute to Corby appeared in the South Bend News-Times on the fifty-ninth anniversary of Gettysburg in 1922. The Hoosier State had an “Irish Regiment” of its own. Father Peter P. Cooney, born in County Roscommon, Ireland, and a priest at Notre Dame, was with the 35th Indiana Infantry as it went into Georgia with Sherman. 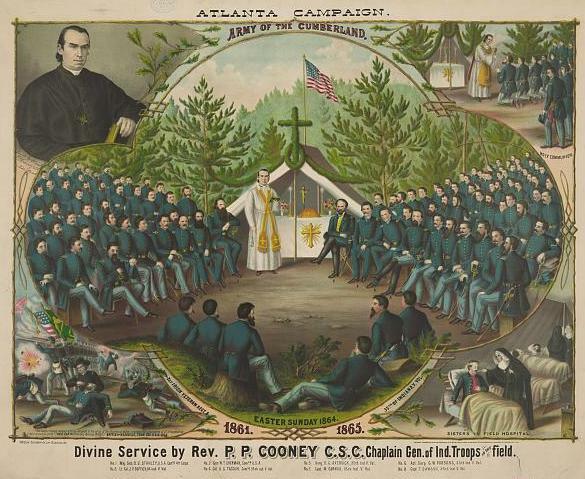 Father Cooney was featured in a report on the Atlanta campaign published in the Daily State Sentinel on August 27, 1864. One more interesting story that made it into the papers is worth sharing. On St. Patrick’s “Eve”, 1892, sky watchers saw a strange event in several parts of the Midwest. On March 18, the Indianapolis Journal reported the remarkable atmospheric occurrence. A white cross was hovering around the moon. For two or three days, in parts of Illinois, the superstitious people have been brought almost to the verge of insanity by curious phenomenal displays that have found their way into the heavens without any apparent business there and without having, so it seems, been heralded by either the Weather Bureau or scientific gentlemen in general. The phenomena has assumed various forms and to the different classes of people who have been sightseers has spoken a various language. It remained for Luna, however, to confer her choicest favor upon Indianapolis and vicinity upon St. Patrick’s night. At 11:30 o’clock last night, when the moon was at her best, she appeared in the center of a perfectly formed and perfectly visible cross of milky whiteness. This wonderful display was visible for about thirty minutes, when it gradually merged into a sort of a hazy pale. Such a phenomenal display is attributed entirely to atmospheric conditions. Why the moon should appear in the center of a cross on St. Patrick’s day, however, is something that the atmosphere does not explain.